Basic truth: The Bible must be interpreted according to its historical, literary and grammatical context. A verse, chapter or entire book of the Bible must be interpreted according to its purpose which may be explicitly stated (1 John 5:13, John 20:31) or implied (Galatians 1:6 3:1 and 6:12.). The verse, chapter or whole book must be examined and interpreted by its chronology or time context, geography, and culture. The Bible must be interpreted by its literary context, that is, by its form (poetry, narratives, proverbs, parables, epistles or letters), and the figures of speech used. The Old Testament was written in Hebrew and the New Testament in koine Greek. A knowledge of Hebrew and Greek can be an invaluable tool in interpreting the Bible. Every Biblical text must be interpreted in the context of larger grammatical units (words, phrases, clauses, sentences, paragraphs, chapters and books). Each book of the Bible must be interpreted in view of the Bible’s unity. Since spiritual truth is spiritually discerned, to understand the thoughts of God the interpreter must be “born again” by the Spirit. (1 Corinthians 2:9, 3:4 and John 3:3). The priority of the original languages. Scripture interprets Scripture. (1 Corinthians 2:13; Isaiah 28:10, 13). Clear systematic teaching passages should interpret shorter incidental passages. God’s truth has been progressively revealed through the ages. The New Testament interprets the Old Testament for the purpose of doctrine. (Hebrews 1:1-2; John 1:16; 2 Corinthians 3:6-18; Acts 20:27). Correct interpretations consider the context and this might be the whole book. If a passage is clearly not literal but figurative, determine what form the passage exhibits and follow special principles of interpretation for each one. Common forms are word figures (metaphor, metonymy, synecdoche); thought figures (simile, parable, allegory, personification, interrogation, irony, hyperbole, ellipsis, euphemism); poetry, types, symbols and prophecy. Clear and extended apostolic teaching passages of Scripture must always interpret figurative passages that are unclear and not vice-versa. The principle of first mention can be helpful in understanding a prophecy. Note when the term was first used in Holy Scripture and under what circumstances. What light do other Scriptures throw on this text? Where and how does it fit into the total biblical revelation? What experiences do these truths delineate, or explain, or seek to create or cure? For what practical purpose do they stand in Scripture? How do they apply to myself and others in our own actual situation? To what present human condition do they speak, and what are they telling us to believe and do? Big Picture 5: All history can be divided into several major “ages” or “epochs” in salvation history. Therefore, we should read every passage of the Bible with a salvation history timeline in our minds and constantly remember where every passage fits on the timeline. (a) Where did this theme start in the Bible? (b) How did this theme develop through the Bible? (c) Where is this theme going to end in the Bible? Then we should change our approach to that of a news reporter, who must constantly ask and answer the who, what, when, where, why, and how of his subject. Who is writing? About whom? And to whom? About what is he writing? That is, we must try to discover the major subject he seeks to cover. What is the situation of writer and reader? What circumstances surround them? What is their nationality and cultural setting? What is their recent history? What is the exact meaning of the words used? What literary form has the writer used: poetry, parable, narrative, history, logical argumentative discourse, prophecy? When is the action taking place, especially in relation to the rest of biblical history? Where is the action taking place? Where is the writer going with his argument? Where does he expect to carry his hearers? Why is the book or passage being written? Why does the writer move from one topic to another in his discourse? Why is he angry, or excited, or pleading, or commanding, or exhorting? How does he proceed to present his subject, through what logical steps or progress of thought? How does he seek to persuade his hearers? How does he relate personally to the message he is declaring? How does he introduce his subject? How does he conclude his communication? How is he motivated to write? How is he related to the ultimate Author of his book? How has he responded to the truth he is declaring? How have the intervening centuries clouded his content through changes in word meanings, cultural differences, and the changed viewpoints of modern man? How has he managed to communicate unchanging truth, in spite of all? How does his writing affect my approach to the facts of life and alter my life style? The Bible is progressive revelation. A basic understanding of the Bible is that God chose not to tell us everything He intended, all at once. The revelation became fuller in content and meaning as it progressed. This does not mean the former truths became untruthful, but simply that former truth was made clearer by the addition of more details or information. The most obvious example of this is the progression of revelation from the Old to the New Testament. Progressive revelation means, then, that each truth was made clearer by the addition of more and more of God’s truth. As time unraveled, the purpose of God became clearer and fuller (e.g., the enlargement of the ideas of ethics, worship and redemption in the Bible). That revelation continues post-canonization of scripture. Latter Rain Movement - Loose affiliation (group) which contends that God is speaking to them, extra-biblically, concerning new truths which were formerly hidden. They use Daniel 12:8-9 as a proof-text for their assertions. The words “sealed up” were already revealed. Daniel wrote them. The teaching is not that - new words will come at the end – but that these words are sealed until the end. Or, that these things will not be understood until they unfold. It may be visions, dreams, etc. all unconfirmed by Scripture. A great movement is underway in various apostate denominations and extra-biblical pseudo-Christian groups which are purporting that God has revealed via progressive revelation that homosexuality is no longer wrong; or that it was never wrong at all, but mankind - got it wrong in their interpretation. God continues to shed more light and truth in our world. In a similar way, we are not limited by past understandings of scripture, but we seek new insights and help for living the faith today. God is not finished with us yet. Obviously, the issue with both movements – and others with this skewed and erroneous view of progressive revelation – is that God is still creating doctrinal truths, outside of his Word. Thus, doctrine is not determined by scripture alone (sola scriptura) but by scripture – and dreams – and visions – and other alternative revelations; each unverifiable and un-affirmed by Christ and the apostles. 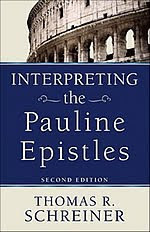 Chapter 6 of “Interpreting the Pauline Epistles” by Tom Schreiner (professor, The Southern Baptist Theological Seminary) explains in detail the “arcing” method. A proposition is a simple assertion about something. Whether you are reading the Greek or English New Testament, you must attend to the appropriate rules of grammar if the meaning of an author’s propositions is to be understood. Just as words derive meaning from their use in a proposition, so a proposition receives its precise meaning from its use in relationship to other propositions. The point of seeing propositions in relationship is not merely to elucidate the meaning of each proposition, but also to help us grasp the flow of an author’s argument. The relationships between propositions fall into two major classes: coordinate relationships and subordinate relationships. 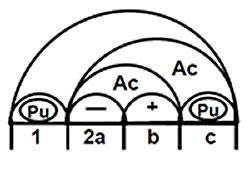 Two clauses have a coordinate relationship if one does not support the other in some way, but each is independent and makes its own contribution to the whole. Subordinate relationships between propositions (supportive) are: action-manner; comparison; negative-positive; idea-explanation; question-answer; ground (main clause-causal clause); inference (main clause-inferential clause); action-result (main clause-result clause); action-purpose (main clause-purpose clause); conditional (main clause-conditional clause); locative (main clause-locative clause); bilateral; concessive; and situation-response. Take the Bible Literally. Do not spiritualize the Bible. Keep it in Context. Do not lift a verse out of context to use it as a proof text because text out of context is a pretext. Watch out for Idioms. Idioms change from generation to generation even in their own language; imagine how they change after 2,000 years from an ancient language from a different hemisphere. Be Alert to the Figurative use of Language. Authors use figures of speech that can not be taken literally. The context is the key; it will tell you when to take a word literally or to find the figurative meaning. Treat Parables Differently. An earthly story with a heavenly meaning. Parables have one central truth. Every illustration can be distorted when every detail of a parable is forced to take on an unintended meaning. The Bible is to be read like any other book. The Bible should be read existentially. Historical narratives are to be interpreted by the didactic. The implicit is to be interpreted by the explicit. Determine carefully the meaning of words. Note the presence of parallelisms in the Bible. Note the difference between Proverbs and Law. Observe the difference between the spirit and the letter of the law. Be careful with predictive prophecy. The Chicago Statement on Biblical Hermeneutics was composed at Summit I of the International Council on Biblical Inerrancy. The summit took place in Chicago on October 26–28, 1978 for the purpose of affirming afresh the doctrine of the inerrancy of Scripture, making clear the understanding of it and warning against its denial. Principle 6: Attempt to resolve contradictory or difficult statements, but be willing to accept that human limitations may render a solution presently impossible. The Bible: Understanding Its Message, by J. Hampton Keathley, III , Th.M. Interpretation, Illumination and Application, by Sid Litke, Th.M. The Bible: God’s Living and Authoritative Word, by Greg Herrick Th.M., Ph.D.
Can you really trust your English Bible to be God's true Word? "THAT passage of the Bible, in the original Greek, does NOT mean what the simple, plain reading of the passage seems to say in English." It happens to me all the time in my conversations with Baptists, evangelicals, and fundamentalists on this blog. They state: "Repent and be baptized...for the forgiveness of sins" was mistranslated. 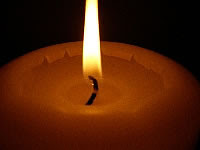 "This is my body...this is my blood" is a metaphorical expression, "Baptism does now save us" is figurative speech for what happens to us spiritually when we ask Christ into our hearts. What they are basically saying is that unless you speak ancient Hebrew, Aramaic, and Greek...you can't read and really understand the Bible without the help of an educated Churchman! 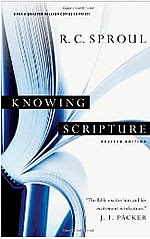 "So here is a question that we all need to ask ourselves when doing this (refusing to accept the simple, plain, English translation of a passage of Scripture): If a verse seems to disprove your theological beliefs, and you translate it in some way that doesn't fit with any of the dozens of major English translations of the Bible, and that unique translation just happens to fit your own theological biases, could it be that it is in fact you who are in the wrong? 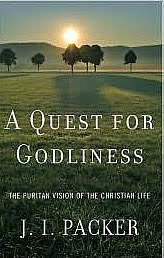 Could you be reading your own preconceived theological convictions back into the text?" " I know it can be frustrating when you are constantly told that Scripture can't be understood unless you learn (an ancient) language or read ancient documents that you don't have either the time or the energy to study. Honestly, if you have a few good English translations at your side, and you take the time to compare them to one another, you have all the tools you need to understand the meaning of the Bible.